If you or anyone you know is vegan, you know first hand how tough it can be to dine out. Things get especially tricky when it comes to traveling. 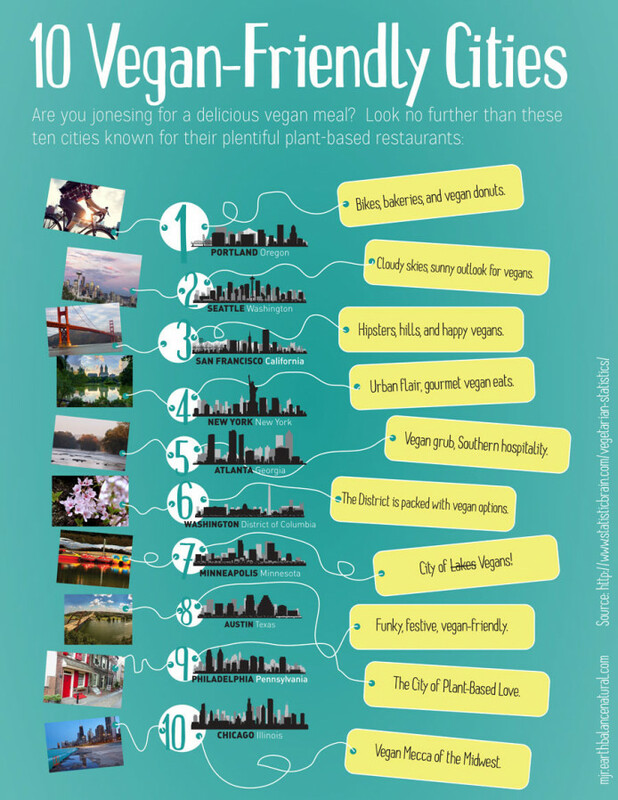 To help lighten your load the folks at Made Just Right have published a guide of the top 10 vegan-friendly cities in the United States. The West Coast completely crushed the East Coast on the list with Portland, Oregon coming out on top. The vegan capital has plenty of bakeries serving addictive treats like vegan donuts. Seattle and San Francisco came in at number two and number three, respectively. The rest of the list is divided somewhat evenly between the East Coast and the Midwest with Austin, Texas coming in at number eight for its funky and festive vegan fare. Chicago came in at number 10. If your are looking for vegan dishes, be sure to check out our collection of vegan recipes.